Putting on the perfect Thanksgiving meal is more than just the food. It is presentation. Presentation welcomes your guests to the dinner table. 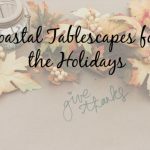 So whether longtime friends or cherished family members are pulling chairs up to your table, here are a few simple Thanksgiving tablescapes for your coastal beach house. 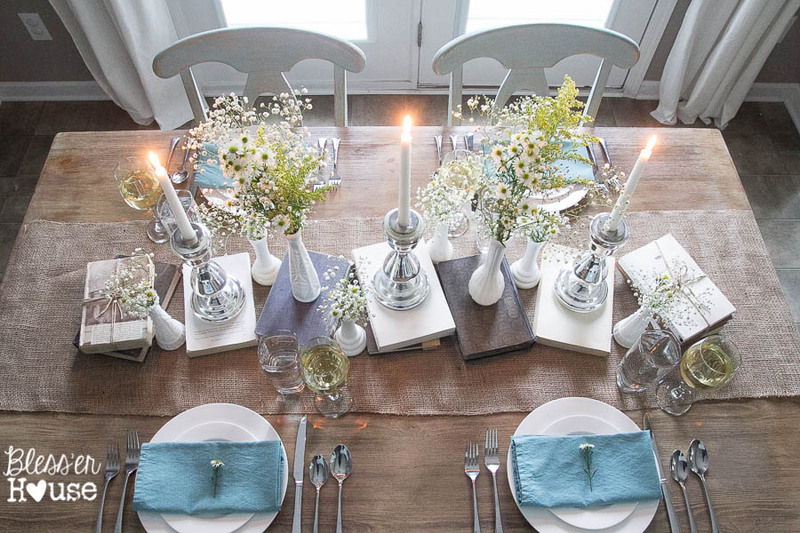 One of the simplest ways to create a gorgeous tablescape is with natural elements. Take advantage of all the gourds available for sale at the supermarket. 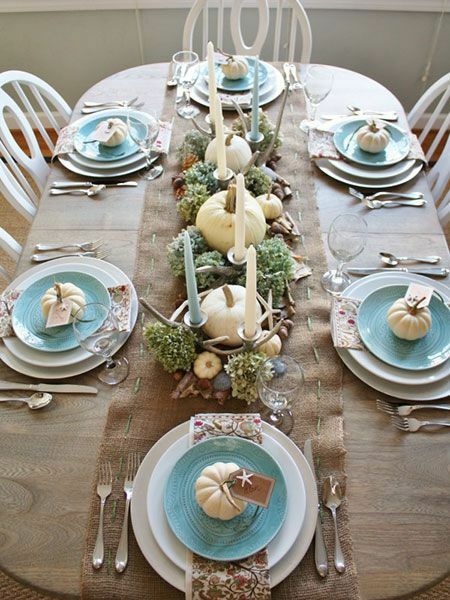 After Halloween, you can usually pick up different colors to spruce up your simple Thanksgiving tablescape. Also, consider using beach wood as well. Dried out wood when combined with the colorful gourds ties in not only the Thanksgiving feeling but your local environment as well. If driftwood is not easily available, and you’d like to recreate the look above, you’ll love our Driftwood Lantern as a gorgeous substitute. Small details, such as personalized place settings can make guests feel quite special. There are many variations of personalization – create tags for napkins or go bold with a personalized plate. Another idea is to use a natural element with this feature. Pick up some twine and create name tags, then tie the name tags to gourds, pears and other organic material by each seat. It’s fun, everyone will love it, and it really doesn’t take long to do. Plus, if you want to keep colors unified, go with the white gourds for a neutral appearance. This allows the name tags to really pop. Can’t find white gourds? Apply white spraypaint on a colored gourd and voila. Who says we need to stick with tradition when it comes to our Thanksgiving table? 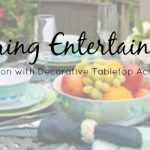 A thematic table will not only bring a smile to the faces of your guests, it’ll give you an opportunity to showcase one of your favorite decor styles. A nautical style infuses classic colors such as navy and white, along with natural elements such as rope and netting. 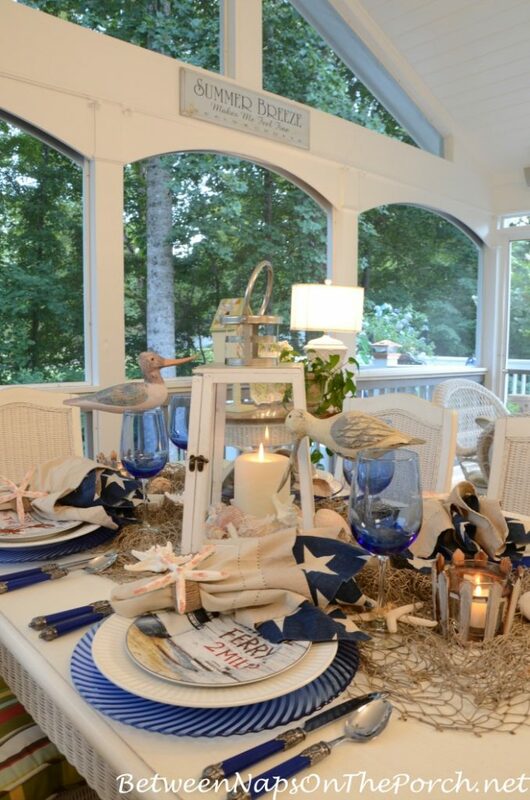 Explore some of our nautical themed dinnerware pieces to coordinate with your theme. 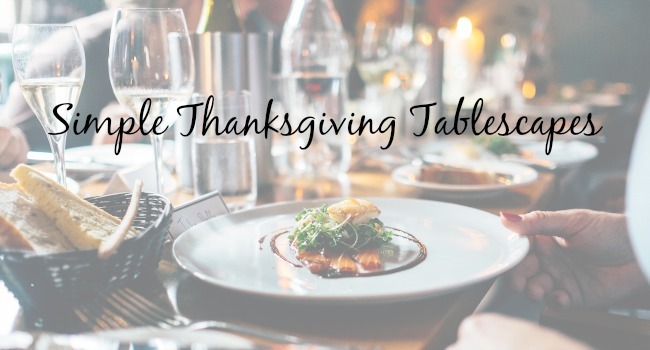 Using local flowers and vegetation, paired with some books and candles is a simple, elegant and easy way to create a stunning Thanksgiving tablescape. Tie together your beach home look with our Blue Crab Tablerunner and build your pieces around it. 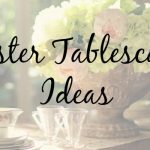 Layering the light and airy colors you love year round on a sturdy, family-friendly table is inviting and stylish. The Tiffany blue plates really contrast the background of the natural elements that surround them. Stylish and oh so elegant. 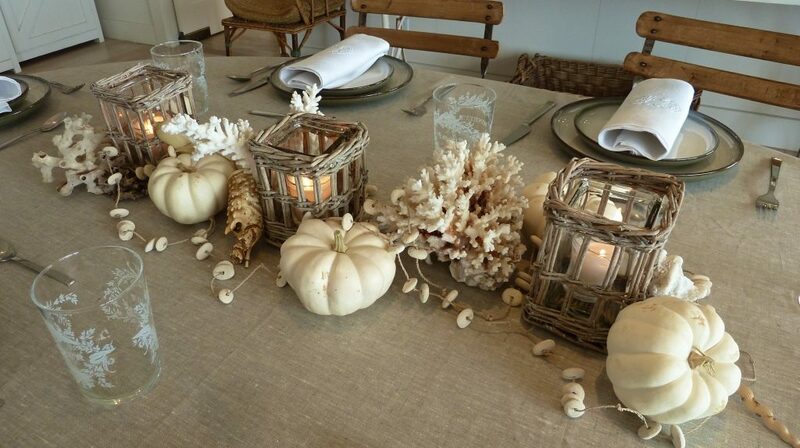 Gourds, starfish, and candles round out this look. The easiest option to dress up your table is to get creative with your napkins. 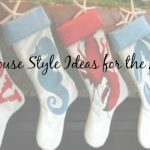 Shape your napkin into a turkey for the kids, tie with a bow for a more elegant look, fold into a utensil holder or, keep it simple and fragrant like adding a sprig of rosemary and a customized printout (template available for download here). 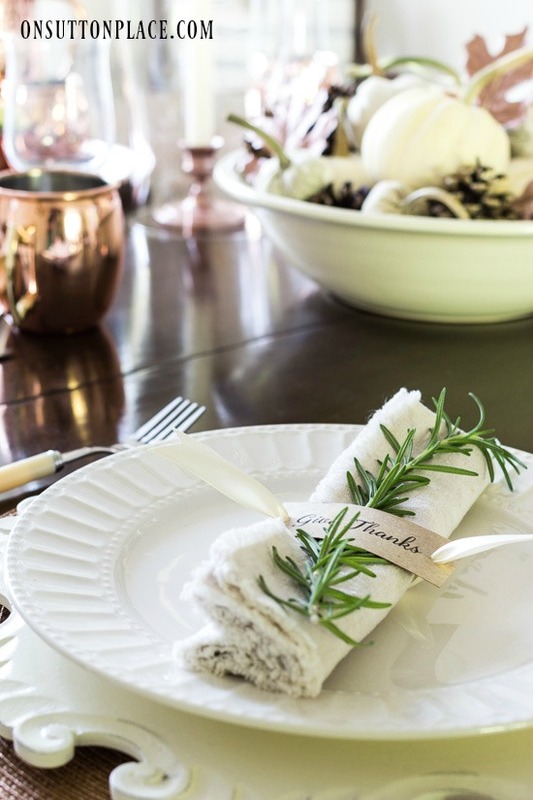 What are your favorite ideas for a simple Thanksgiving tablescape? Tag us in them on Instagram.